Makeup brushes should always be clean if you want them to work the way they should. Some of them need constant care, as the leftovers of the products that remain on the brushes may cause some problems to your skin. Another important aspect is the brush softness. For example, the powder brush must always be very soft in order to become scratchy. You should also know how to clean makeup brushes not to damage them and bring them to the	initial new state. Before passing to the main products that you should use for cleaning the brushes, it’s important to know how often you should use them. Speaking frankly, none of us cleans makeup	brushes after every use, as it takes time which all girls always lack. Well, actually, there is no need to clean all of them every day; it will not do any good. Foundation and powder brushes should be cleaned at least once a week. Especially the foundation brush keeps a great amount of the cream on it and this may turn out to harmful bacteria. So clean it more often. What concerns the blush brushes, they can easily be cleaned just once a week. The only brush that should be cleaned after every use is the eyeliner brush; otherwise, it may become out of use. As for the concealer and eyeshadow brushes, it’s enough to clean them 2-3 times a week. Makeup brushes need special care, that’s why there are cleansers, sprays, conditioners and many other products made particularly for brush cleaning. You can choose any of them and clean your brushes, but it is more advisable to choose a cleanser, which will also sanitize the brush. Sterilizing will guarantee the utmost cleansing from any bacteria and microbe that are on the brushes, it will also make the brush dry in a few minutes. Sprays are also very effective for cleaning the brushes as they remove all the leftovers from the brush and ensure a long lasting life for them. If you already have the cleaning products, you should also be attentive about the amount you use as it differs from brush to brush. Well, firstly, keep the brush bristle under warm water until it gets softer. Then, apply whatever you have; a cleanser, a spray or a conditioner. 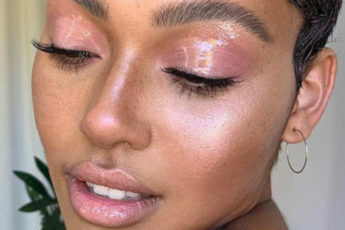 For your foundation and blush brushes use a few full drops so to cover the bristle with the product, while for eyeliner, eyeshadow and concealer brushes, use smaller drips. Rub the bristle with fingers gently, making sure that the cleaning product touches every bristle and every corner. As you have the brushes cleaned, leave them for getting dry. If you have used ABT foaming brush cleanser, it will dry the brushes within a few minutes. So with the help of these easy steps, take care of your makeup brushes and let them be useful even longer, as after all they are the most essential tools for creating dazzling makeup looks!